This lovely solid oak topped console has beautifully rounded sweeping sides, a weathered whitewash appearance to the top and beautifully patinated legs with original chippy paintwork. The paint to the legs is layered white and grey which has naturally crackled and peeled in places. 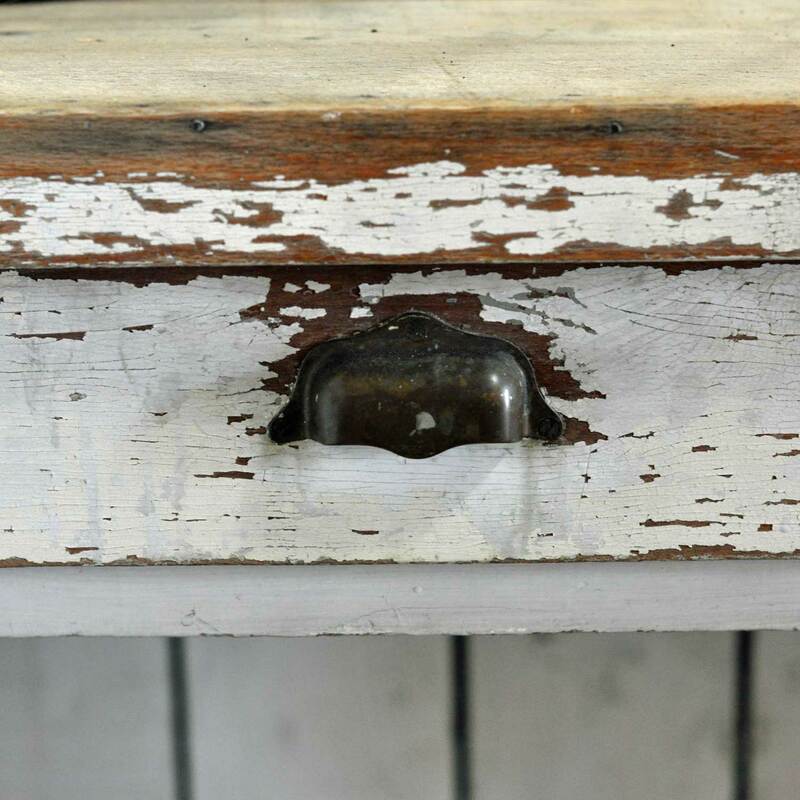 Original ironmongery on each drawer completes the modern country look. 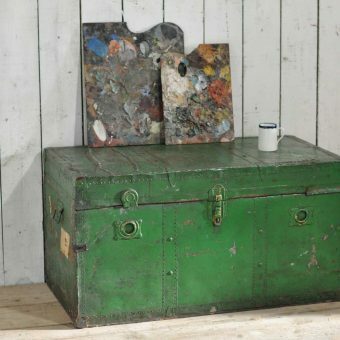 The back right hand side of the top has had a wedge shaped piece of timber added to fill a little gap that was obviously cut away to allow the furniture to fit into a tight space. 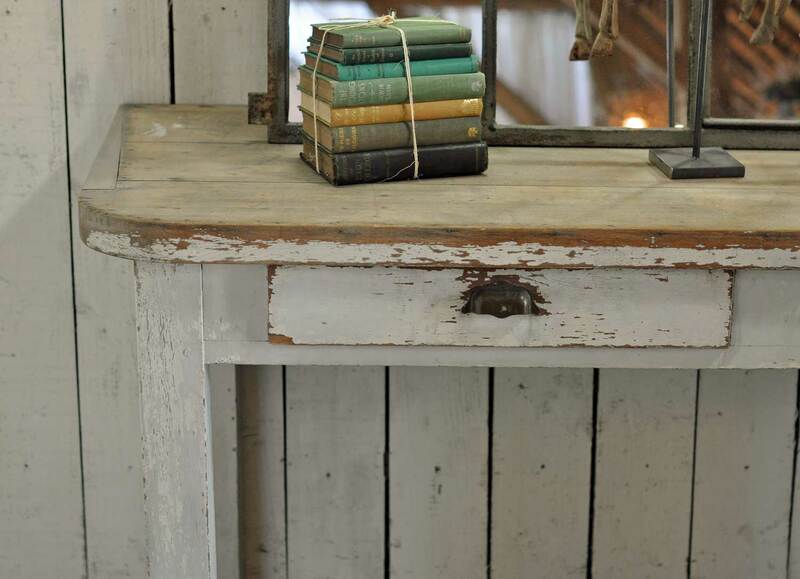 Sourced in France and exuding modern yet rustic charm this table would make a fabulous desk or dressing table. 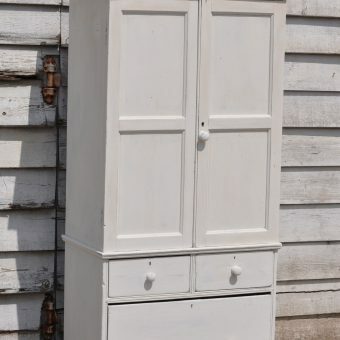 This unique piece of furniture would look fabulous topped with a mirror, a pair of lamps or candlesticks and an indoor plant. The perfect place to drop your keys and mobile as you head through the front door. 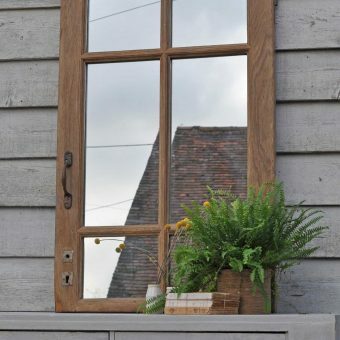 Home Barn Vintage Interiors is based in the rural village of Little Marlow, based in Buckinghamshire. We are located between Bourne End and Marlow. Just 25 minutes from West London we are ideally situated for a trip to the countryside. Come along and have a browse through our carefully curated stock of vintage, antique and industrial furniture and decorative antiques. Our tithe barn was built in the 17th century and is filled to the rafters with a selection of interiors products for your home, office or business. 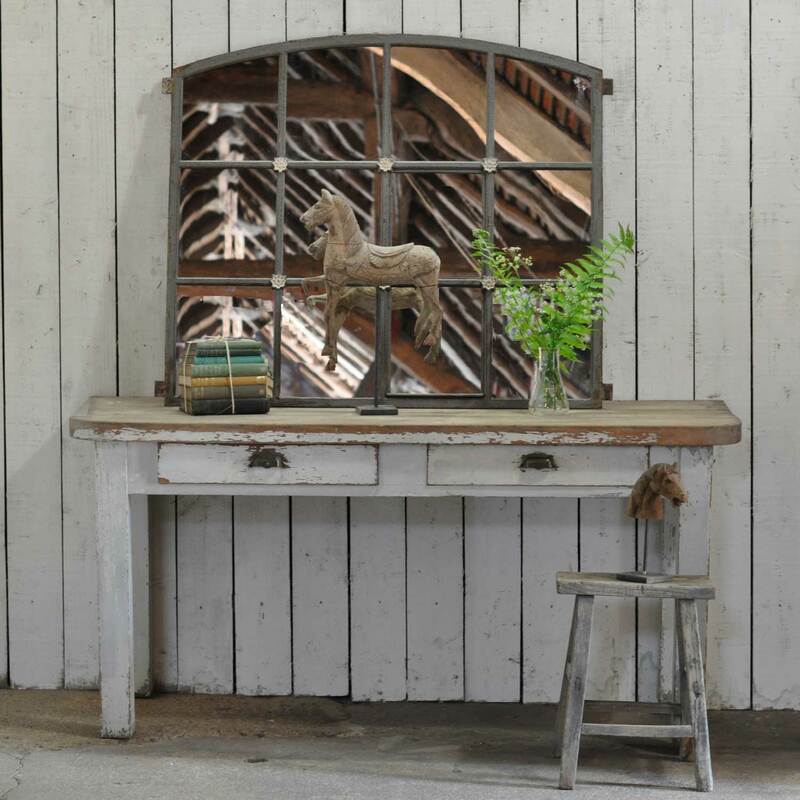 Our vintage barn offers interiors inspiration in spades selling everything from vases and hand made ceramics to large cupboards and bespoke reclaimed dining tables. 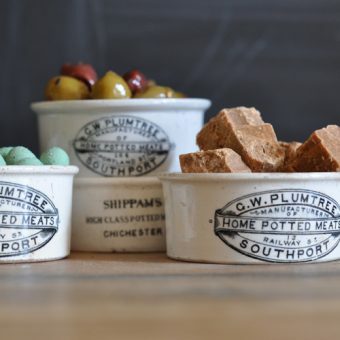 If you can’t visit us we have almost all our stock available online and we ship to mainland UK destinations. Tags: antique, barn, console, desk, dining table, french, HOME, home barn vintage interiors, home decor, homebarnshop, interiors, modern country, oak, rustic, salvaged, timber, vintage, warehouse, whitewashed.